How to delete Snapchat message you accidentally sent to unwanted person before they or someone opens it, is it even possible to delete conversation on Snapchat when the messages have not been seen? Carelessness sometimes happens when you are in a rush, such as sending a message to the wrong person in snapchat, a second later you realize it and your heart sank because a mistake that may not be too big, but it could be the most embarrassing thing in your life if the message you sent to the wrong person has been read. 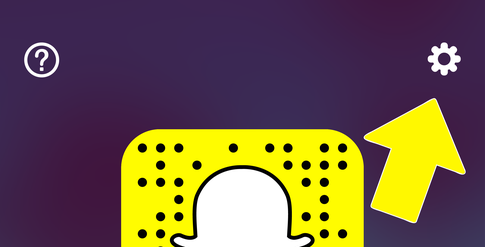 In addition to self-destruct message that is the main feature Snapchat, you can also send messages as plain text. Snapchat message stored in the device’s storage, not in Snapchat’s servers, and they are not erased by itself. If you send a message to the wrong person, there is only one way to remove it before someone open or read it. Choose the person who receive your message, tap the “X” icon to clear or erase the message, if you are in control of that person’s phone, then you have to erase your own username there. The second way requires cooperation with the recipient of your message. In order to erase the message, both of you must swipe out of the chat by tapping on the message and then tap it again to unsave. When you receive a message and you tap it, this will save the message, but when you tap it again, it will erase the message. You need to ask the person who receives your message to do the same which is maybe will make that person curious and open the message before erase it. Completely erase the snapchat message before someone read it by deleting your snapchat account. If you are not a ninja, or you do not want to risk your message is read by unwanted person, you can perform this “kamikaze” way by deleting your snapchat account and create a new one, the messages already sent will be lost, the person receiving your message will not be able to see your messages. The problem is solved. Of course you will lose all your friends in your snapchat’s contact , you have to go back to repeat the process of adding friends, gaining the score, trophies, and all that stuff, but I think it’s better than your embarrassing message was read by others, totally worth it i think. 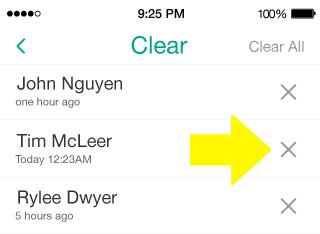 Update: There is a new feature that allow you to unsend Snapchat messages. I accidently sent a really embarrassing video to someone and I really don’t want them to see it, will deleting my account stop them seeing it??? I deleted my account but it said it will deactivate in 30 days does this mean they will still get the picture i sent? Will they still be able to see it in that 30 days?? Do you know if the snap still goes through if you reactivate the account in less than 30 days? I’ve sent a picture and it it’s not getting erased from the chat not me or the viewer have it saved so why is it still there? How can I get rid of it. I deleted my account to delete a snap I sent that was unopened, If I reactivate my account in the 30 Days will the snap send again? Will blocking someone and deleting them from your list prevent them from opening it? I accidentally did that before deleting the convo from my cache, but it disappeared anyway. Not sure if it just disappeared or if it was actually deleted. Any help would be great thanks. I made a test with another account and I could still watch the pic. What happened with your sister? what did she say? What do you mean by that? So if I reactivate my account will the person get my snap eventually? When you mean delivered do you mean open. Your answer is very vague. So are you saying even if I reactivate my account, if the snap wasn’t open before I deactivated, they wouldn’t get the snap after I reactivate? If I delete my account and the person that i sent it too has not checked the message I sent and I reactivate my account will they be able to see the message. If I reactivate my account will snaps that were delivered but unopened at the time of deactivation be available to be opened or are they forever gone? I sent a picture to the wrong person. I blocked them thendeactivated my own account.. will they still be able to open the snap? If I blavk and delete them will it not show up ? I sent the wrong person a snapchat picture, so I quickly deactivated my account (hopefully) before they seem it. If I re activate my snapchat before the 30 day period, will that picture re send? Or is it gone forever? If I sent a message to someone who isn’t myfriend on snapchat, I havent saved it or anything and it delivered. If I blocked them will they still get the message? I sent a photo from my camera roll to someone on snap and I want it deleted, yet the person refuses to unsave it. If I delete my snapchat account will it erase the conversation ? I created another account to check that and it’s not true. Even if you delete your account the picture can be seen. An unopened snap can still be seen? If I deleted my account can I create a new account with the same phone number? Or will the picture still send at that point? If I send a wrong snap pic to someone but blocked them before they can open it.. Will the snap still be gone if I add them back after blocking them? Sent an unfinished text. No embarrassing pics just a message. I cleared the chat will that erase the message or can he still view it? it will only erased from your phone, not him. So I just deleted my account however it says I can deactivate it within 30 days. However if I deactivate my account would the unwanted snap end up eventually going through to the mistaken recipient? I don’t want to loose all my trophies and friends that I had on my account so I want to deactivate it but afraid that the snap that I mistakenly sent will be sent after I deactivate it. I accidentally sent an embarrassing photo to my crush and then without thinking I blocked them RIGHT afterwards they didn’t see it. Will they still be able to see it? I accidentally send a really personal text to a friend…will they see it if I block/delete them?? Will the recipient still receive a message you sent then if you deactivate your account before they open it? I possibly have a new one for you. If You were in a group chat and only one recipient opened and saw the snaps. You then delete your account. Can the others in the group still see it?